Try this one, I bet you’ll really like it! Wanna know a great way to get more veggies on your plate? Roast them! Smokey Roasted Cauliflower - adds big flavor to a (sometimes boring) vegetable! Put the cauliflower florets in a 1 gallon Ziploc bag. Add the olive oil, sprinkle in the garlic salt, paprika & parsley and mix everything together, making sure each floret is coated with spices. Take your time and really mix the ingredients well. Although they have a tendency to clump together, it's easier to mix them in a bag rather than a bowl - less messy too! Once everything is combined, spread evenly on a cookie sheet sprayed with non-stick coasting (or lightly oil the sheet pan). Place in the oven & roast for 25 minutes total, stirring the mixture twice during the roasting process. Can be served hot or cold. sharing on my facebook because I love this cruciferous! Wonderful, thank you for the share! 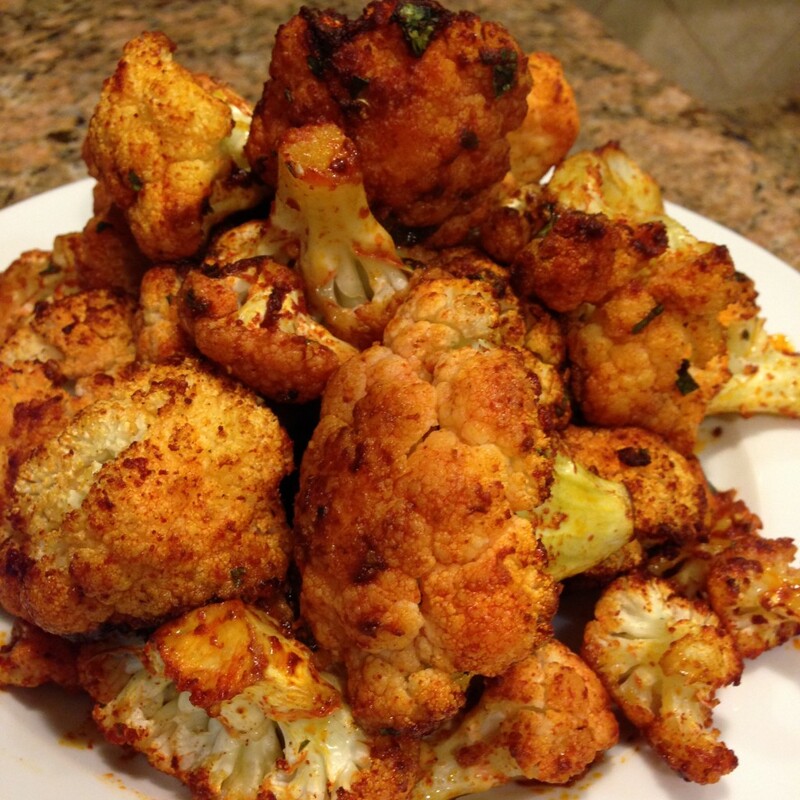 Roasted cauliflower (and most other veggies) are like candy to me. I can just mindless eat them. Which I suppose is ok, since they are not candy. I made this for dinner a while back and was very good. So tasty Loved it. Wonderful! I’m so glad it is a side dish you enjoyed Lois!